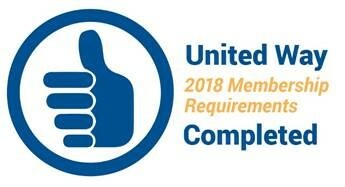 United Way of Central Iowa's Core Values include Integrity, and that means we want to be transparent to ensure the community can easily review our policies and finances. The following information is updated quarterly. Below you will find an overview of our financial activities for the fiscal year ended June 30, 2018. This information is designed to focus on current year activities and changes year-over-year. This overview should be read in conjunction with the financial statements below, as well as our audited financial statements. Overall for fiscal year 2018, which ran July 1, 2017-June 30, 2018, United Way of Central Iowa had a strategic decrease in net assets—prior to changes in our endowment and changes in our restricted contributions—of $4,495. This is a change year-over-year of $518,827. Please see below for drivers of such change. Campaign Contributions - net revenue increased by $997,262, mainly due to a large gift from an anonymous donor. Grants, Sponsorships, and Other Non-Campaign Contribution revenue increased by $361,967 due to the receipt of new grants and sponsorships. In total, Total Revenue increased by $1,320,019. Donor-Directed Contributions expense increased by $434,973. This increase is mainly due to the large gift from an anonymous donor mentioned above; however, it is partially offset by a decrease due to a corporate partner's change in reporting. Community Investments and Services increased by $521,602. This increase was due to expenses incurred as part of new grant and sponsorship funding and the strategic decision for additional funding into programs in the community. Administration and Fundraising decreased by $155,384, mainly due to a decrease in expenses related to United Way of Central Iowa's 100th Year Celebration, which took place in fiscal year 2017. In total, Total Expenses increased by $801,192. For additional information regarding United Way of Central Iowa's financials, please see the link to our audited financial statements below. * The June 30, 2018 Financial Audit is available for your review. The June 30, 2018 I.R.S. Form 990 will be made available here when it is filed. The prior year June 30, 2017 I.R.S. Form 990 is available for your review. ** For audited financial reporting purposes, donor-directed contributions are not included in expenses but are charged against contributions. *** In audited financial reports, the increase in the Board-designated endowment funds distributed for spending is combined with the Endowment Increase/(Decrease) after distribution. The total change in the endowment is presented in revenue in the Statement of Activities. ** To provide financial stability for the organization, the governing board established a guideline range for unrestricted net assets after designation. The range is based on three to six months of budgeted program and operating expenses for the next fiscal year. For 2017 the range was approximately $5,789,000 to $11,578,000. For 2018 the range was approximately $6,031,000 to $12,062,000.